With the sun setting in Shanghai it is time to look back and reflect on a great starter of the World Cup season 2016. Well….. at least for some. The week had everything; rain, sun, drama, world records and happy faces at the end. It is going to be one to remember. Without going in to too much details here is a summary of the interresting happenings during the week. Deepika Kumari came close to shooting a world record for recurves. As did Brady Ellison but both of them fell a few points short at the end. Brady’s score still was the third highest ever shot on the 70 meter round. And than there is always Mike “Mr. Perfect” Schloesser. 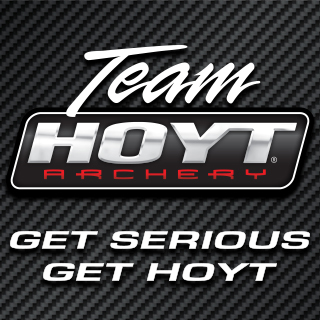 Breaking his own world record and raising it to 717 just three points shy of a perfect score in the compound men. Team USA also upped the long standing record of the compound mens team round to 2133 points and Team Netherlands raised the European record to 2130. World no.one and the winner in Shanghai in 2015, Seb Peineau, was upset in the second round by Sarvesh Pareek, who shot a 150 against Peineau’s 145 points. 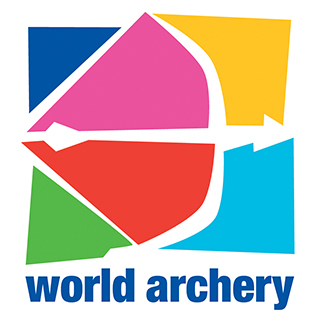 Number two seed and World Archery Champion Stephan Hansen had a bye and was on form in his first match, the third round.  Unfortunately, he recorded a miss in the second end when, as he was coming down, his release aid activated and the arrow went downrange. 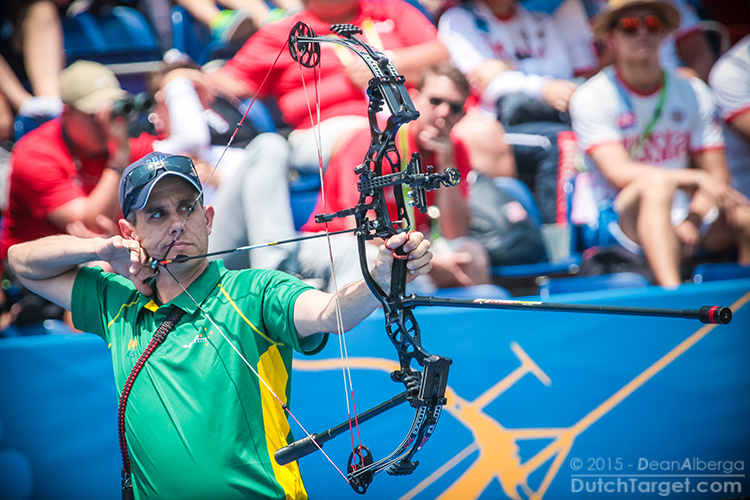 Zach Garrett reached his second final in the World Cup circuit and his up against first timer Sjef van den Berg. Olympian Larry Godfrey and team mates Patrick Huston and Kieran Slater orchestrated a huge upset over the number-one seeded USA team in the quarterfinals of the recurve men’s competition, after beating Australia and before falling just short to Korea. They went on to shoot for bronze. A blow for the hosts nation, but a boost for the Indian athletes, as they took China in a shoot-off. They then outshot Germany, 5-3, to make the final in the recurve women. In the mens semifinals Netherlands beat India with a perfect 30 in the shoot-off after being down 4-0 in the match. They went on to the finals. 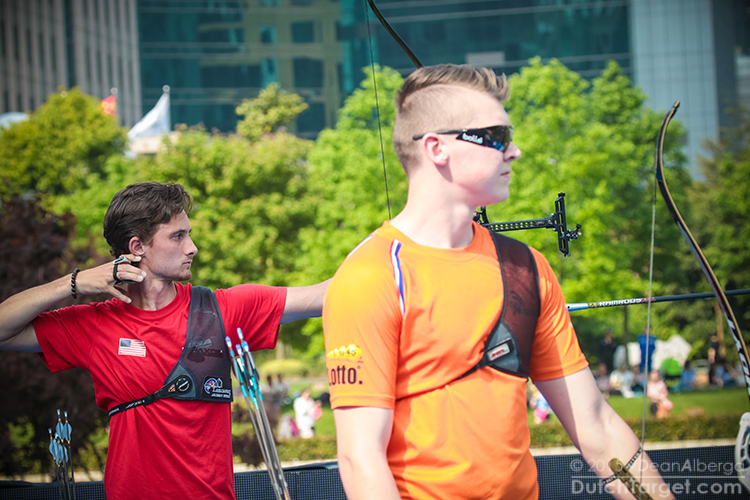 It wasn’t a high-scoring compound men’s final in Shanghai but one full of drama between Mike Schloesser (NED) and last years World Cup final winner Demir Elmaagacli (TUR). 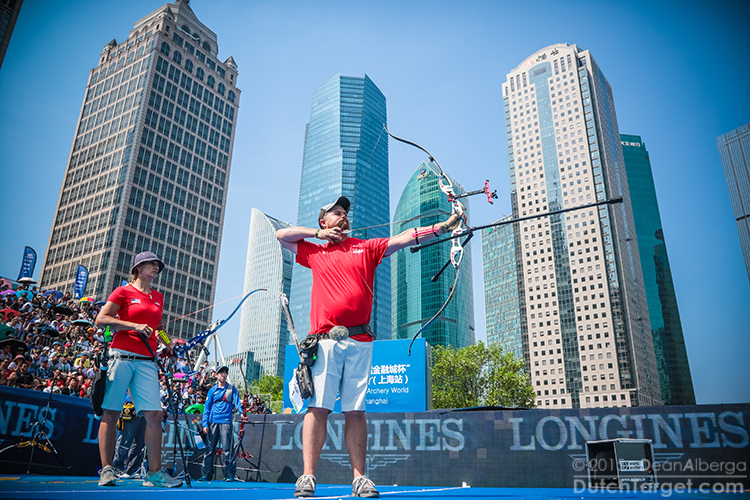 Mike had already set a world record on Wednesday in Shanghai, and Demir, despite only qualifying in 30th, had hammered the brackets and put in a 150 in his semifinal. (Like Mike!) With both archers in such form, the stage seemed set for a monster battle. But Mike, who was barely able to miss the 10 in qualification, opened with an eight. Demir replied with a 10 – and then four more in succession. Two more eights in the second end, and Schloesser was six points down. But then Demir fumbled with an arrow. As the clock ticked down, he couldn’t get it on the rest. The horn sounded. It registered as a miss, to gasps from the crowd. Advantage to Mike again. This time he didn’t falter and although Demir managed to get a few points back, Mike went on to win the gold medal. 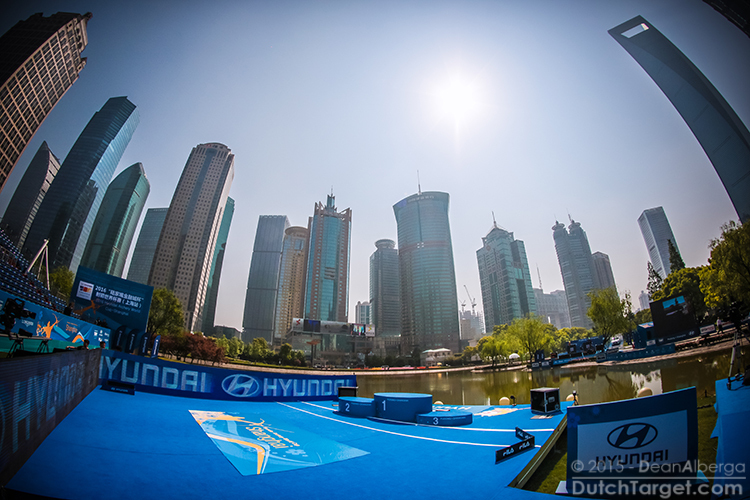 In the bronze medal match, Michael Brosnan of Australia – last seen on the international stage here in Shanghai two years ago – took a bronze medal against top Dutchman Peter Elzinga this afternoon. Despite qualifying in just 44th, he upset Alexander Dambaev and Patrick Laursen before falling to Schloesser in the semis. His victory was perhaps a surprise over the much decorated Elzinga – a silver medallist at the very first Archery World Cup Final, and in enough form to put in a 150 in the third round. 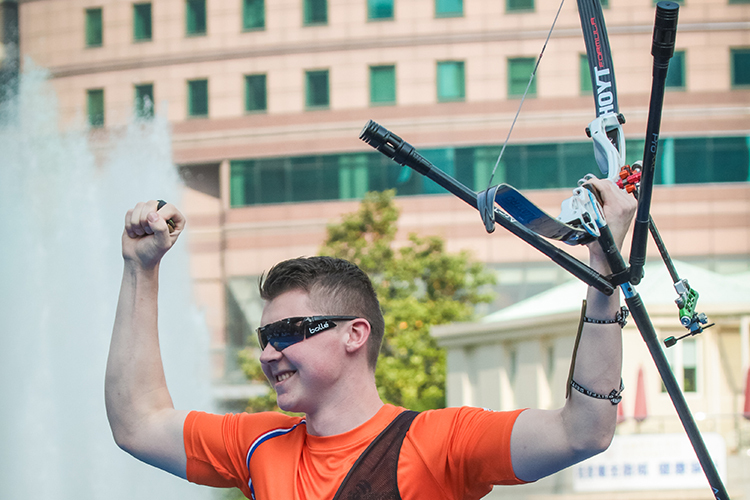 The recurve men’s final at the Hyundai Archery World Cup in Shanghai turned out to be a battle of confidence as much as anything, between two athletes both just 21 years old and in the peak of form this week. The pair took the recurve men’s gold medal match at Shanghai 2016 to five sets, in a thrilling battle between two of the world’s top young archers. Garrett opened in the Shanghai final with a 10 that looked like the most natural thing in the world while Sjef sent an eight down the range. Garrett added another 10, and another, and turned away, relaxed. He knew what he was capable of. Sjef edged two nines a little closer, but the set points went to Garrett. In the second end, van den Berg finally found the ten ring, and visibly relaxed. His 27 was enough to square the match after Garrett slipped a bad seven to the upper right, and the eight Sjef shot didn’t seem to bother him. He tapped his fingers against his thigh. He knew it was good. It was coming. Both men seemed to be in the zone with 29 apiece in the third, but Sjef had opened the throttle. 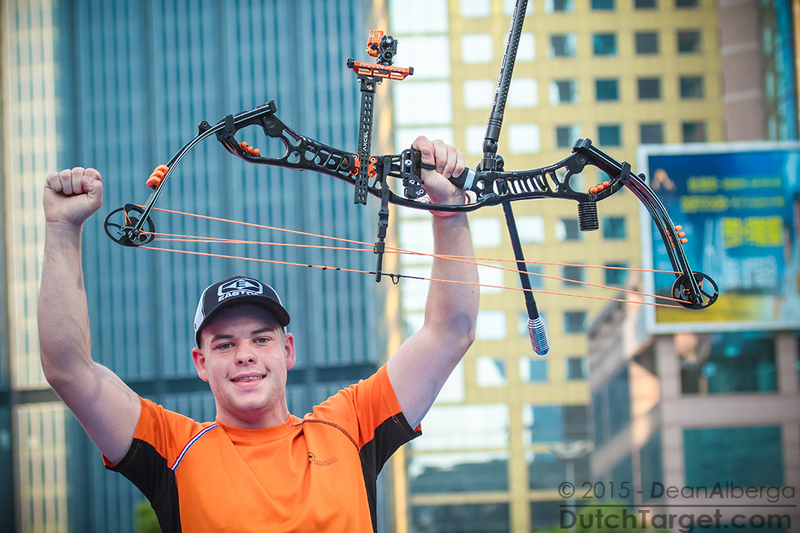 Sjef van den Berg has emerged as the top recurve archer in the Netherlands, but clearly with broader ambitions and – since he left school to train full-time – a relentless physical and mental training schedule. Zach Garrett has similarly emerged from the deeper pool of USA recurves with a relaxed, disciplined approach to the sport. Both went through the field during eliminations on Thursday with serene confidence, with Garrett surviving a shoot-off by millimetres. There’s nothing like a brush with death to give you confidence. He rattled off six 10s in a row, and after the fifth, with Garrett still needing to shoot an arrow in a dead end, suddenly Zach seemed rattled. He held the last arrow of the end way too long, and was visibly more tense. The confidence was slipping – just a crack. He shipped a rotten seven to open the next end, and Sjef replied with his sixth 10. Finally the head was shaking. It was done. Sjef won 7-3, but the scoreline didn’t reflect the match; which was less an archery contest, more a battle of who could believe in their own ability the longest. “Obviously I didn’t shoot the way I wanted to, but it happens. I’m doing my best to figure it out. Next time will be better. It’s just the way it happens,” Garrett said afterwards. His first World Cup final win surely makes him a top favourite for the upcoming European Championships in Nottingham next month. Wei Chun-Heng beat out Mexico’s Ernesto Boardman to the bronze medal to add another gong to Chinese Taipei’s medal haul for the day. In the mixed team contest, the experienced Indian pair of Deepika Kumari and Das Atanu beat the Korea rookies in a shootoff for the bronze medal. 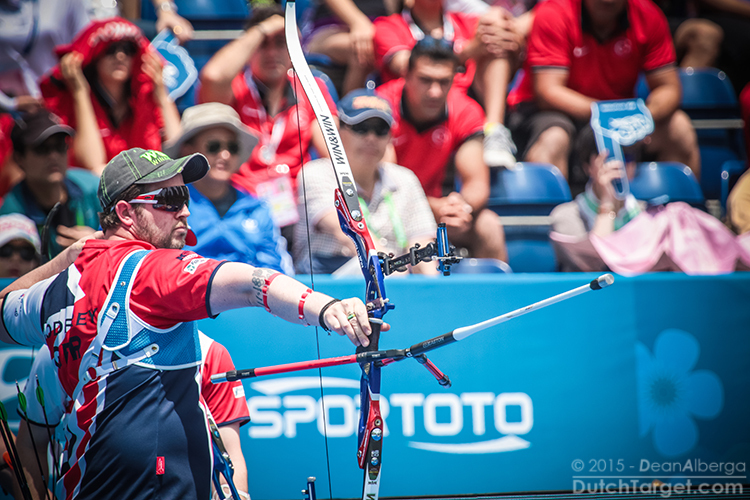 There was better news for the USA in the mixed team final, as Brady Ellison and Khatuna Lorig both shot strongly to take gold against Chinese Taipei. Tan Ya-Ting and Wei Chun Heng were not as fluent as in their other matches, and the USA found the tens when it mattered. It was a great save for a USA touring party which has had – by their standards – an unsettled meet.